How to Book Secret Discounted Hong Kong taxis? There are 3 types of taxis in Hong Kong – Urban Taxis (red with silver roofs) cater to areas in Kowloon and Hong Kong Island, New Territories Taxis (green with white tops) and Lantau Taxis (blue). They operate exclusively in each of these areas. Among these taxis, there are also discount taxi syndicates (八折的士). These are unions of taxi drivers who offer discounts of up to 20% off the metered fare to passengers. To enjoy this discount, customers will need to call through a central hotline and wait for a taxi to be assigned to them. Discounts are applicable only for long-distance fares e.g. from Kowloon/Hong Kong Island to Airport. While the taxis are licensed, this practice is illegal in Hong Kong as the law requires taxi drivers to charge passengers the metered fare. The 20% discount taxi operation started during the 2002 economic + SARS crisis period when there were significant lesser demand for taxis. Unemployed professionals also joined the taxi profession, creating even more supply of taxis, worsening the problem. Some taxis began offering discounts to passengers so as to get some business for themselves and providing them with contact info and promises of discounted taxi fares for future rides. As more taxis offer similar discounts, some of the drivers formed syndicates of discounted taxis and setup central hotlines to consolidate customer orders and dispatch them to participating taxis. We tried out the service and took a discount taxi from Mongkok to Hong Kong Airport. 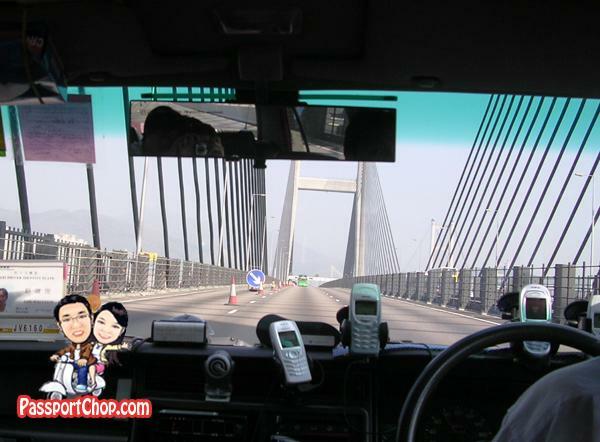 While the metered fare was HK$240, we were only charged HK$200 (inclusive of luggage and toll fees) – a 20% discount. Perhaps the only downside to using a discount taxi service is the amount of handphone chatter you have to bear with during the ride. Our taxi driver had 4-5 handphones and at least 2 are always ringing, not including the one he is talking on. I guess these phones are separated by: Personal, Official Taxi Association, Unofficial Discount Taxi Syndicate 1, Unofficial Discount Taxi Syndicate 2 and who knows what else. Most of the time, he is either updating where he is going, asking on the next job and just calling home. To find contacts for such discount taxis, you can search on Google using the keywords “八折的士”. Some sites are in English and their hotlines cater to English-speaking customers. Some also offer airport pickup services. For our ride to the Airport, we called this number: 66201638 (a 24-hour discounted taxi hotline). Within 15 minutes, a taxi was dispatched to our location. To avoid misunderstandings, when you call the hotline, make sure to tell them you want the discounted fare and confirm with the taxi driver that he knows that you have negotiated the discounted fare before you get on. Disclaimer: The above info is accurate as of 23 Sep 09. The taxi operators might have changed since then. Use the service at your own risk.